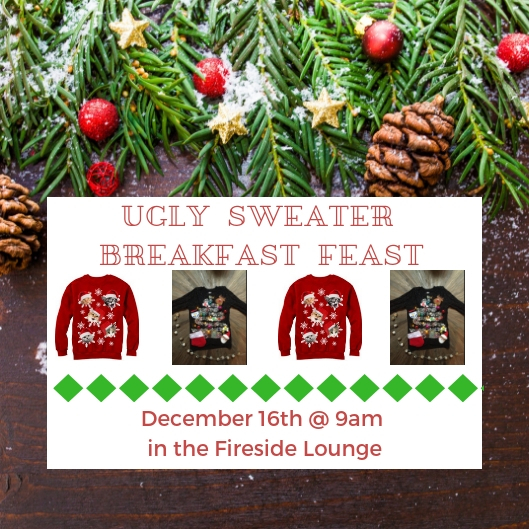 On December 16th at 9am, we will be celebrating the season with the Ugly Sweater Breakfast Feast! Prizes will be given for three categories: Ugliest, Sparkliest, and Kids sweater. Talk to your Home Group leader to see what category of breakfast food to bring. If you aren’t part of a Home Group, bring any breakfast dish to share!